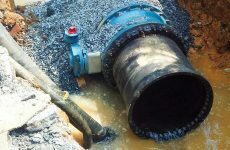 The completion of Hawaii’s largest-ever wastewater system upgrade was formally announced in June by Honolulu Mayor Kirk Caldwell. Following a consent decree from the U.S. EPA to improve Windward Oahu’s sewage collection and treatment system by June 2018, Brown and Caldwell, an environmental engineering and construction firm, worked with the City and County of Honolulu and its team of construction partners to deliver the Kaneohe-Kailua Wastewater Conveyance and Treatment Facilities Project on an accelerated schedule and within budget. The $375 million project connects the Kaneohe Wastewater Pre-Treatment Facility (KWWPTF) to the Kailua Regional Wastewater Treatment Plant (KRWWTP) via a three-mile long, 10-ft diameter gravity sewer tunnel. The project will increase the region’s wastewater conveyance and storage capacity while reducing overflows. The tunnel conveys wastewater by gravity flow, sloping from a depth of 39-feet below ground level at the KWWPTF down toward the KRWWTP, ending at 77-ft below ground level. Traveling under Oneawa Hills was the preferred tunnel route, rather than placing a force main through Kaneohe Bay, therefore avoiding potential catastrophic sewage overflows into the environmentally sensitive public resource. 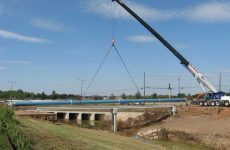 To lift the wastewater to the surface for treatment, a 45 million gallons per day (MGD) Tunnel Influent Pump Station was designed by Brown and Caldwell and constructed at the KRWWTP. The project also includes a new 15 MGD replacement for the existing Kailua Influent Pump Station, generator and headworks buildings, and odor control facilities. 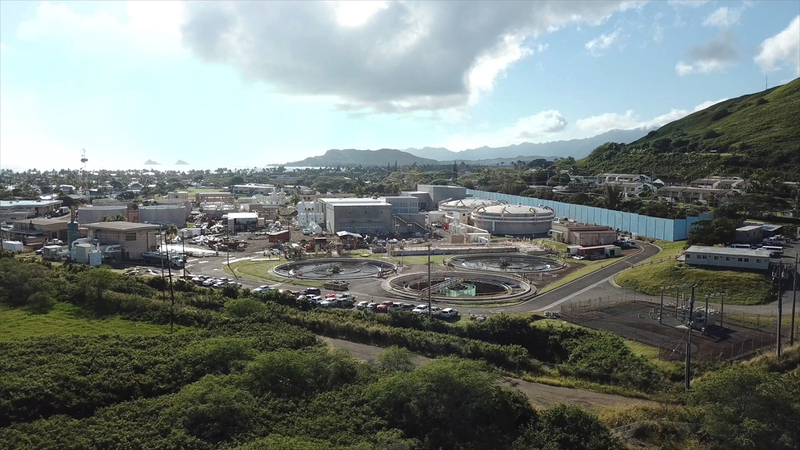 This video describes the $375 million Kaneohe-Kailua Wastewater Conveyance and Treatment Facilities Project, including comments from Honolulu Mayor Kirk Caldwell.